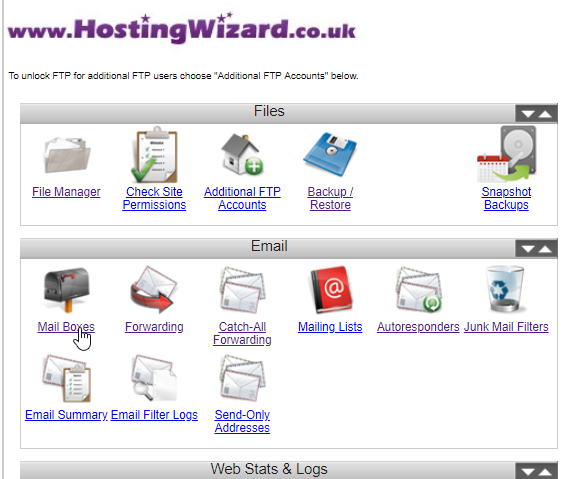 Log into your email control panel; http://cp.hostingwizard.co.uk/ and click on Mail Boxes. You will now see a list of all your email accounts with an empty field next to it under the 'Password' Column. Please enter the new password that you would like. We recommend using the 'Generate Suggested Password' button to generate a secure password. Please allow 15 minutes for any password changes to take effect.